A family-run, wholesale business. If you are interested in purchasing presentation packs, or other QEII GB material, please visit their eBay shop Bvishers. They also run another eBay username called Stampexcel, which sells Commonwealth, all world and miscellaneous items. 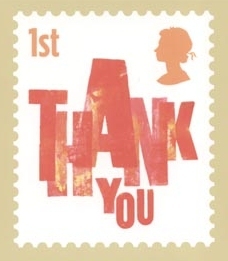 As a wholesale business, Benstamps deal in all stamp-related material (Commonwealth, foreign, covers etc) and are always interested in buying collections. They are based in North London but are willing to travel if the collection is large enough. Please email benstamps3@gmail.com or phone 0208 866 7347 to contact them. Pre decimal Presentation Packs, PHQ Cards, Maxicards, Benham Silk Cards, Private Packs, POM Packs and the British Presentation Pack Catalogue. Unit 120, Trident Business Centre, 89 Bickersteth Road, London SW17 9SH. Many lots will be sold in the 27th September auction including many of the rarer items. This is a public auction and they also have Live Internet Bidding with all single items scanned online. The printed catalogue will be available a few weeks before the auction and they are happy to send you a free copy. Alternatively they have an email notification list to let you know when the catalogue is available online.